What an amazing book. Gives you all the feels. It's HOT!!! It's rough & tough MC guys. It's heartbreaking at times and sweet at others. JUST WOW!!!! Angel is a cop. Her brothers are cops and her Dad is a cop. It's in her blood. It's what she's always wanted to be and do. She's good at it despite the people in her life that try to protect her too hard. She knows right from wrong and good from bad. That is until she goes undercover and the lines get blurred. 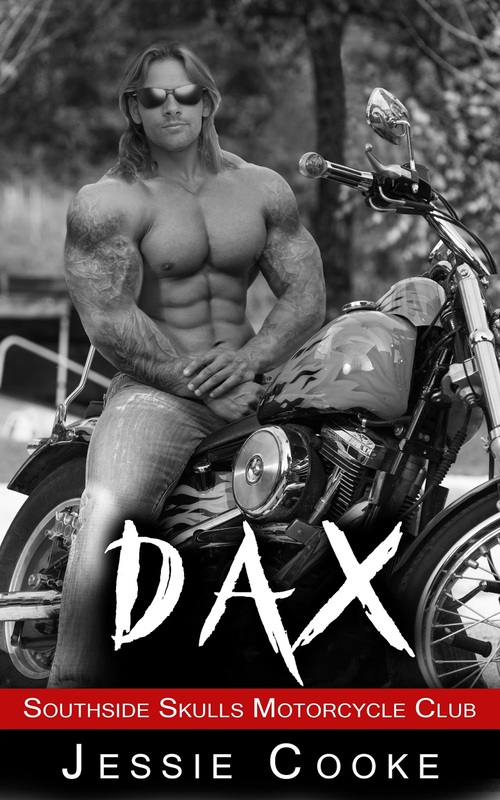 DAX is....well take a look at the cover. I mean.....Dayum!!! He's president of the Southside Skulls MC club. His dad had been president and he has been a member since he was sixteen. This is in his blood and it's what he knows. Does he handle illegal things....yes, probably. Does he do it for the right reasons......well, maybe. He's not nearly as bad as all the police, and the town for that matter, think he is. He is trying to clean things up and run legit business. But his Dad had his hand in to many fires that DAX is still cleaning up. Can a cop and an MC pres find themselves together? Will he be able to forgive her? And her family and her town......can she give everything up for him?